There was one extra bird in the emu pen this week when Toby Hull took Emu along to meet his feathered friends at Dartmoor Zoological Park. 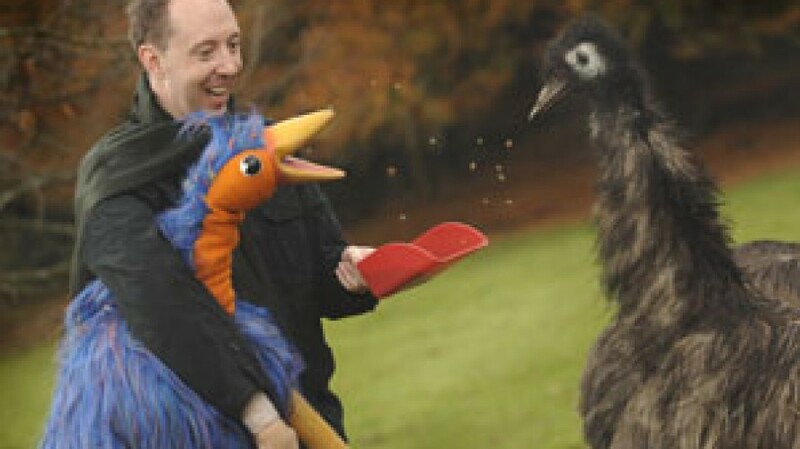 Armed with some tasty bird food, Toby Hull and Emu joined Curator of Animals Steve Pilcher at the emus feeding time. Peter Pan runs at the Theatre Royal from Friday 14 December 2007 to Saturday 19 January 2008. Tickets are available from the Theatre Royal box office on 01752 267222 or in person. Alternatively please “Click Here”:/prod-productions_details.asp?pid=28 to book online. This year, the Theatre Royal is delighted to announce that Wrigley is sponsoring the pantomime through its Hubba Bubba brand.